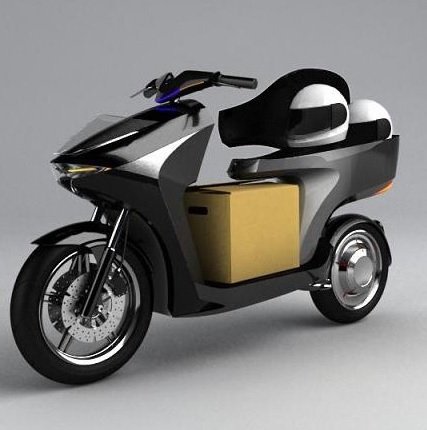 Designed designer Ramon Ramirez, 2ICE (pronounced Twice), is a hybrid high-speed single bike and a scooter for two.Fully electric bike is equipped with a built-in electric motor that works not only on the external charge, but also uses electricity generated from the rotation of the wheel and its inhibition. A similar regenerative braking technology available today. In addition, 2Ice advantage is that you can go to one and at any time to themselves to plant another passenger. Being completely harmless, this is guaranteed to deliver elektrobayk the environment from carbon emissions.